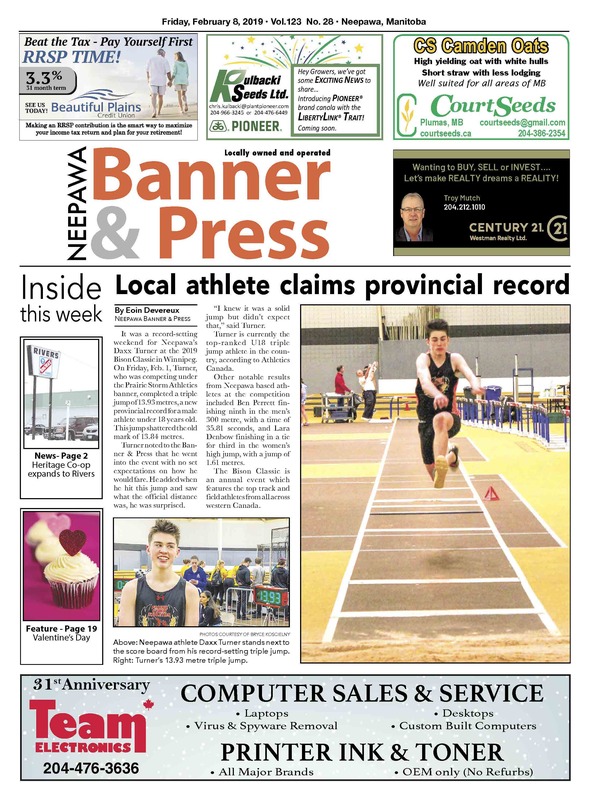 This week, read about a local athlete who broke a provincial record, a Carberry chef who's hoping to make a difference for people living with ALS, see the faces of the Neepawa Farmers hockey team, get some inspiration for Valentine's Day and much more! Don't forget to pick up a hard copy of the Banner & Press so you don't miss out on some great deals in the flyers! In this week's, you can find Home Hardware, Giant Tiger, Rona and Harris Pharmacy, depending on where you pick up your paper. 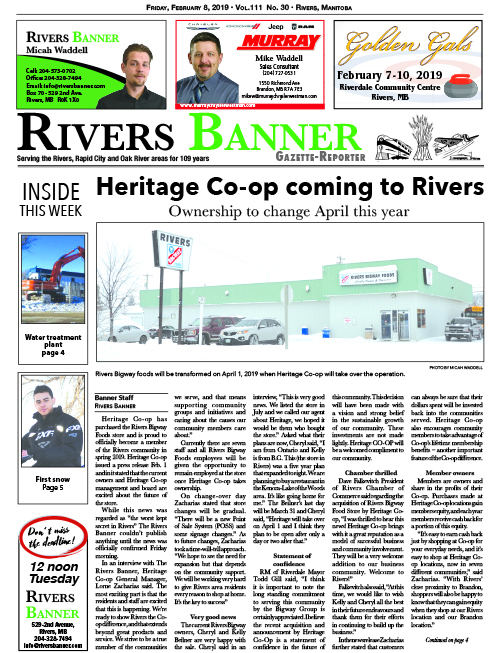 This week, read about Heritage Co-op purchasing the Rivers Bigway. Pick up a hard copy of the paper to see this weeks flyer from Rivers Super Thrifty! Nothing quite beats the sense of community in rural Canada. I had two reminders of this in the last week.